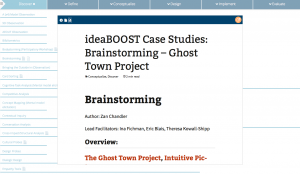 In October 2013, I co-facilitated a series of clinics with Suzanne Stein that were designed to help content producers explore the ways in which participatory design techniques could help identify, understand and engage audiences and other stakeholders. In support of the clinics, I adapted some of my ideaBOOST case studies for the Design Research Techniques website produced by Stein and the CFC Media Lab. The website is an evergreen resources of techniques that support audience/user/customer/stakeholder engagement throughout all stages of the innovation life cycle. 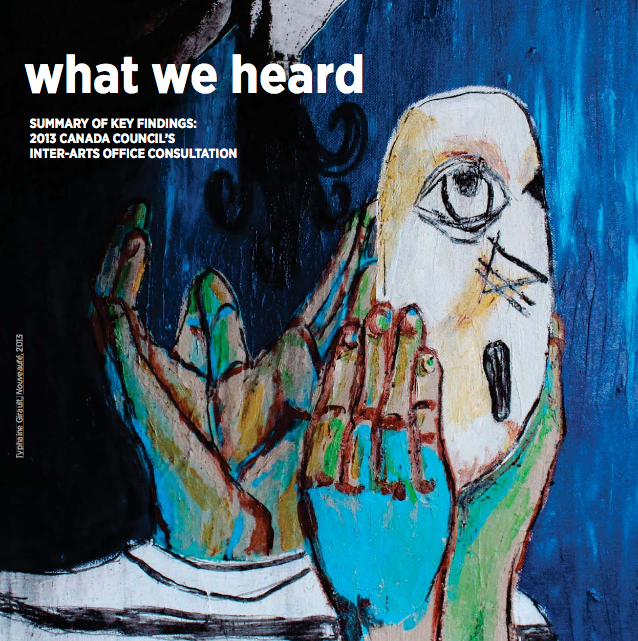 Over the spring and summer 2013, I worked with Claude Schryer and the Canada Council’s Inter-Arts Office to design and report back on their consultation with the inter arts sector. In an operating context where much is changing and the future is in constant flux, the IAO wanted to better understand both the challenges and opportunities facing artists and arts organizations in this sector. Thanks to Kirsten Thomas of 42ink Design for creating a beautiful report. 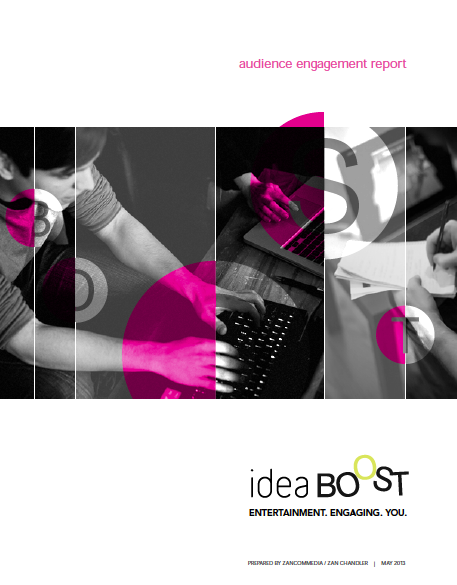 In spring 2013, I conducted a series of case studies and prepared a report that looked at the audience engagement techniques employed by the first cohort of ideaBOOST, the CFC Media Lab’s digital entertainment accelerator. The report was funded by the Canadian Media Fund. 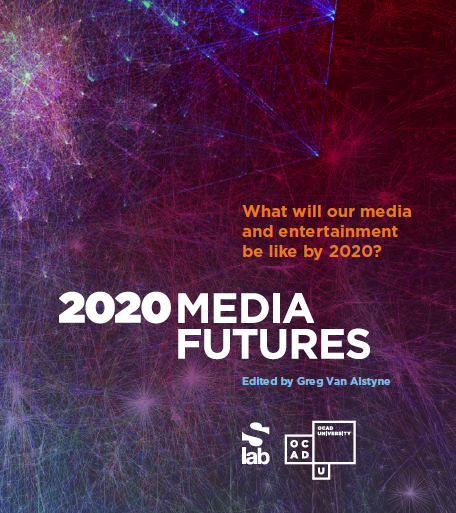 2020 Media Futures was a multi-industry strategic foresight project designed to understand and envision what media may look like in the year 2020; what kind of cross-platform Internet environment may shape our media and entertainment in the coming decade; and how our firms and organizations can take action today toward capturing and maintaining positions of national and international leadership. Based on my cultural policy experience (with the Department of Canadian Heritage and the Canada Council for the Arts), I was happy to participate in this project while a graduate student in OCAD University’s Master of Design in Strategic Foresight and Innovation program. 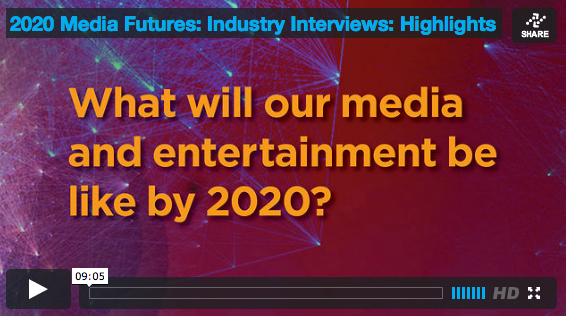 In addition contributing to workshops and the trends analysis, I conducted a series of interview with members of the entertainment industries and co-wrote the findings section of this report. In conjunction with the 2020 Media Futures Implications for Action Camp that took place in May 2011 to explore implications for the 2020 Media Futures scenarios, I co-produced, with OCAD U’s strategic innovation lab (sLab) and Sheridan Institute’s Screen Industries Research and Training Centre (SIRT) a series of video interviews with industry members attending the camp. Interviewees were asked to express their thoughts regarding opportunities, challenges and strategies for success in the face of internet-driven disruption. © 2019 Zan Chandler. All Rights Reserved.